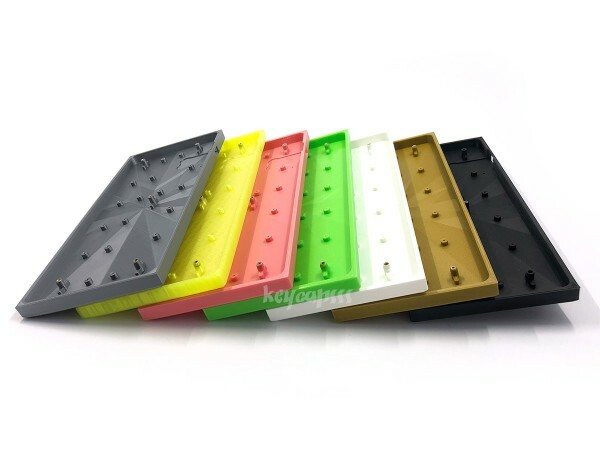 Product information "Ortholinear 12x5 Keyboard LO-PRO Case 3D printed (Preonic PCB compatible)"
This case is similiar to the Planck LO-PRO case from OLKB, but for the Preonic PCB. Case is compatible to the OLKB Preonic PCB Rev1 and Rev2. It also supports hand-wiring and has a cut-out for a Arduino Pro Micro or Teensy. The M2 press-in threads are already in place. The Carbon Top plate is also compatible. Customer evaluation for "Ortholinear 12x5 Keyboard LO-PRO Case 3D printed (Preonic PCB compatible)"